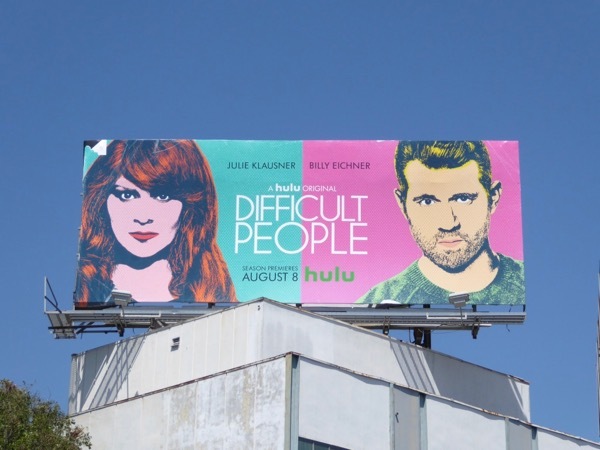 Julie Klausner and Billy Eichner are back on our small screen and bitterer than ever as Difficult People, surviving life as comedians in New York City for a third season. 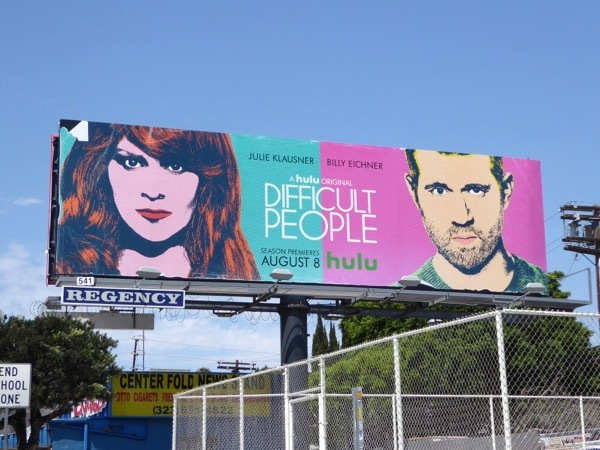 This season sees the return as Andrea Martin as Julie's mother, a new love interest for Billy in the form of John Cho and the dilemma of whether to move to California, and the Hulu comedy gets political, as they try out a gay conversion therapy kit courtesy of homophobic Vice President Mike Pence. 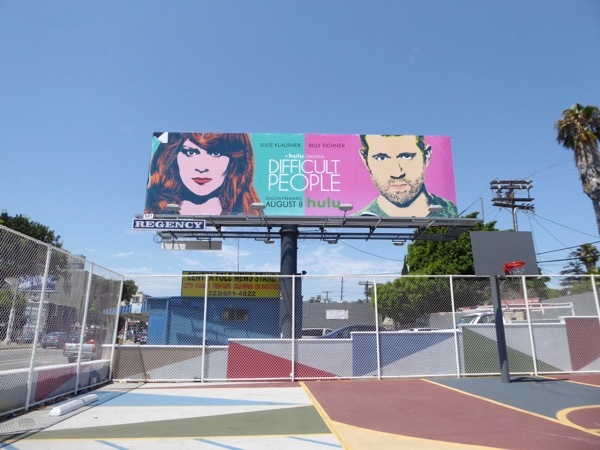 This pop art season three billboard was snapped along Fairfax Avenue at Melrose Avenue on August 4, 2017, plus fans of the show can also check out these previous season promo billboards for Difficult People. 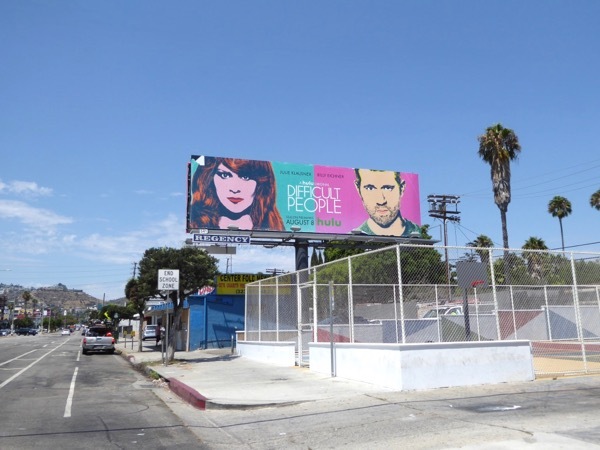 Meanwhile Billy Eichner fans can also enjoy these Billy on the Street billboards from around L.A. and NYC in recent years. 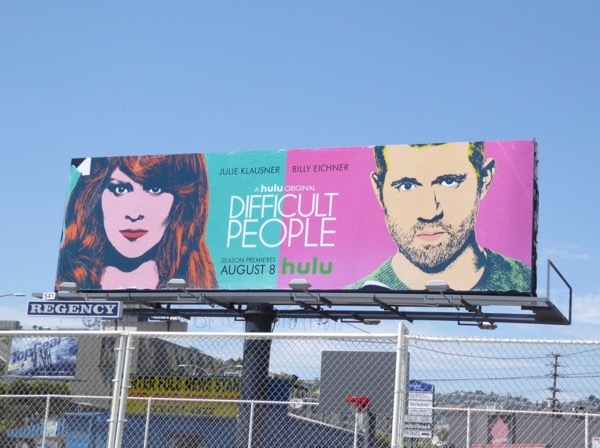 Get ready for another ten episodes of pop culture judgment and two people being horrible to other folks (and you loving them for it). 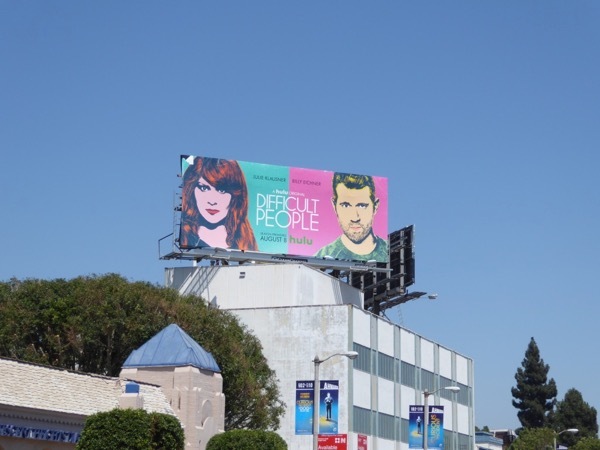 UPDATED: Here's another billboard example for the third season spied high above Beverly Boulevard on August 11, 2017.